Most plastic materials never completely degrade; they remain in our environment, slowly being broken up into smaller and smaller pieces, and whilst recycling programmes have been put in place across developed countries, it is thought that just 5% of plastics are recycled effectively, with 40% ending up in landfill and over 30% in the environment. The rest is burnt, creating energy but also consuming more fossil fuels in order to manufacture new plastic materials that are forever demanded by our economies. In the developing world, this explosion in demand for cheap and easily disposable products has grown faster than the ability to deal with the huge amount of plastic waste generated in these booming consumer societies. In fact, just 5 countries are responsible for over half the total amount of waste in our oceans - China, Indonesia, the Philippines, Thailand and Vietnam. Over 80% of the plastic waste in our oceans actually originates on land and three quarters of that comes from uncollected waste or litter. This ‘plastic leakage’ results in 8 million metric tons of plastic materials entering our oceans every year. Today the amount of plastic waste in our oceans has reached a critical level - plastic waste has been found in the deepest parts of the oceans, on remote beaches far from sources of pollution and in vast, diffuse gyres made up of trillions of plastic particles. Unless we tackle the source of this plastic ’smog’, it is predicted that by 2050, there will be more plastic than fish by weight in our oceans. The B.A.N. list 2.0 released by the 5 Gyres organisation looks at how often different types of plastic pollution were found in the marine or coastal environments the USA, and whilst the results may not be directly applicable to the developing world, this list serves as an extremely useful guide to identifying the different types of visible waste - a hit list of the worst plastic offenders in our marine environment. The best way to reduce the amount of plastic waste entering our oceans is to simply cut it off at the source and reduce the amount that is actually used in the first place. As well as reducing waste, this has the added benefit of reducing the consumption of the fossil fuels used to create plastics in the first place. As consumers, we can choose to buy products without packaging, carry our own water bottle, refuse straws and use our own reusable shopping bags - everyday acts that will significantly reduce the amount of plastic waste you are responsible for. Water and other beverage bottles, along with their caps, are the biggest combined source of plastic waste in our oceans. Every minute, over a million plastic bottles are bought across the globe and just a small percentage are recycled. The alternative is simple - a reusable stainless steel or glass bottle that can be used again and again. These canteens are rugged and easily cleaned, and can easily be thrown into a bag or left wherever you need a drink - at the office or in the car. What about in restaurants or bars that offer you a plastic bottle of water? Ask for a glass instead and explain why you are doing it. 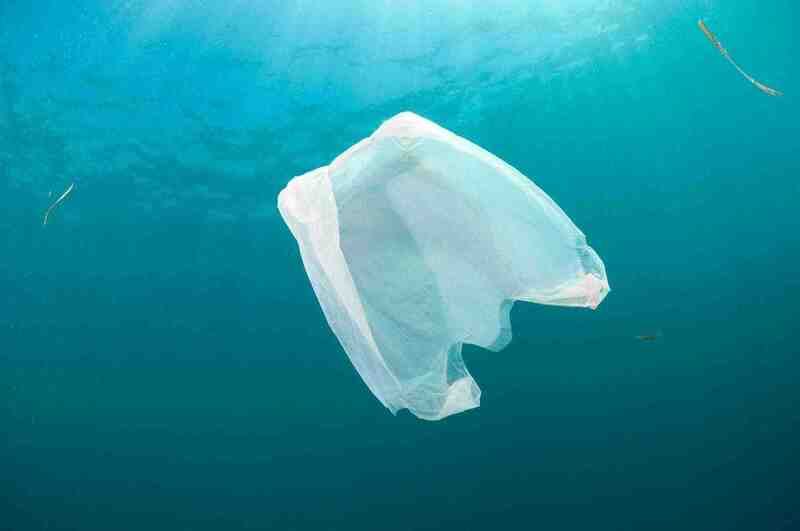 On average a plastic bag is used for just 12 minutes, and yet can persist in the environment for decades. They are difficult to recycle and have very little value even if collected, making them extremely difficult to manage effectively. The choice here is simple - buy your own shopping bag that you can use again and again. Cloth bags are perfect for all sorts of uses and can easily be folded away and carried around for when you need it. And don’t be afraid to say no when offered a plastic bag when shopping - it is the perfect opportunity to again explain why you are turning it down. It is thought that over 500 million straws are used every day in the USA, none of which are recyclable due to the materials used and their small size. Whilst many end up in landfill or are burnt, a huge amount leak into the environment - plastic straws are one of the commonest sources of ocean waste. An alternative? Well, first ask yourself if you really need that straw. If the answer is really yes, then carry a reusable and washable metal or bamboo straw with you. Bamboo has the added benefit of being extremely fast growing and perfect for rehabilitating degraded forest land. Styrofoam disposable cups and their plastic lids are a significant source of ocean waste. The foam material gradually breaks down, but the remaining particles can persist for decades. And neither the cups or the lids are easily recyclable. Once again, the figures are extraordinary - it is thought that 25 billion expanded polystyrene foam cups are used every year in the USA alone; the figure for the entire globe is incalculable. 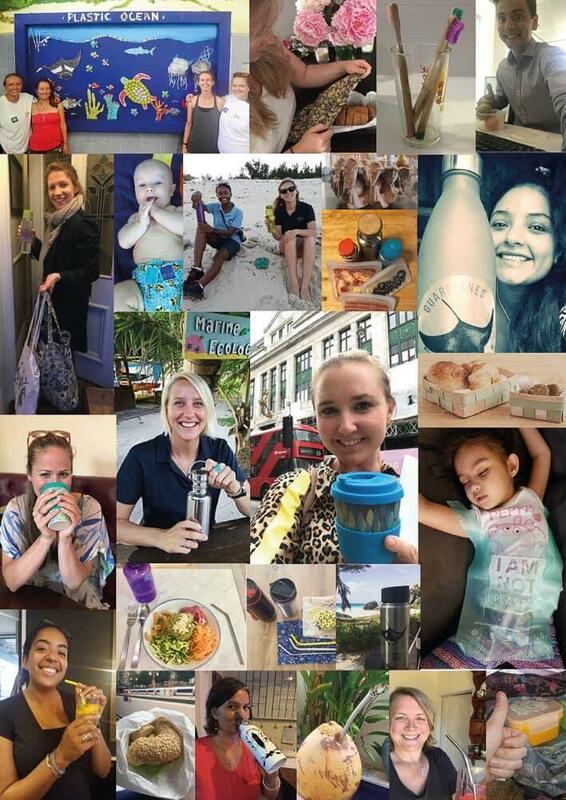 If you must get a takeaway coffee, then bring your own reusable and insulated cup - not only will it reduce your plastic footprint, but it will also keep you coffee hotter for longer! Much like disposable coffee cups and their lids, plastic styrofoam food containers litter beaches across the globe and are found drifting in the furthest reaches of our oceans. Making a switch to your own containers is easy to do - ideally glass or metal containers, but even plastic tupperware is better than nothing - it is at least reusable! Get in the habit of having a set of containers, a cloth shopping bag and a water bottle with you wherever you need them. Cigarette butts are made of cellulose acetate fibre and can take decades to break down in the environment. The B.A.N. List 2.0 researchers divided the number of butts found by 20 - the typical number of cigarettes in a pack - but when considered individually, butts were in the top 5 sources of plastic pollution. If you must smoke, consider using filterless cigarettes or switch to e-cigarette ‘vaping’. Food wrappers and packaging were the single greatest source of plastic pollution in the B.A.N. List 2.0. It is also one of the more difficult sources of waste to tackle - at least as a consumer. Whilst plastics serve a vital function in preserving food and reducing waste, the entire food industry is guilty of massively over packaging products to the point of absurdity - plastic-wrapped ready-peeled bananas would be funny if they weren’t so frightening in their blatant disregard of the environment. The best way to make a difference is to try and avoid buying products with plastic packaging, or at least the minimum necessary. Try to buy in bulk whenever possible - buy big refills rather than small packets - and look for alternative packaging such glass or cardboard. And use your own containers and bags whenever possible. Plastic microbeads are added to face scrubs, toothpastes and body washes, as abrasives, and are responsible for giving you that freshly-scrubbed feeling. However, their small size means they readily enter the oceans through our sewer systems, and are easily ingested by marine organisms. Scientists have discovered that these microbeads, along with other small particles of plastic, are finding their way into the marine food chain and humans, as the apex predator of the seas, are now ingested these plastics ourselves. Whilst governments in various countries are starting to ban microbeads, they are still for sale in much of the globe. Avoid them by looking for materials scubas as polythelene and polypropylene in the list of ingredients. The biggest threat to our oceans is ignorance, and without education and awareness campaigns, and the advocacy for the marine environment, we have no hope of conserving the oceans for future generations. Consumers can make a difference - they can vote with their wallets by supporting businesses that use less plastics; talk to restaurants, cafes and others in the food industry about alternatives to plastics; and act as ambassadors for a reduction in the consumption of plastics. We can support bans, contribute to organisations that are making a difference, participate in beach and ocean cleanups and help spread the word about plastic waste. The problem is very real, but there are solutions and the more people that are willing to stand up and be counted, the better. Incorporating the 3 R’s - Reduce, Reuse and Recycle - into your life will help you lead a more sustainable lifestyle, one that will cut down the amount of waste you create, conserve natural resources and reduce landfill space and energy use. 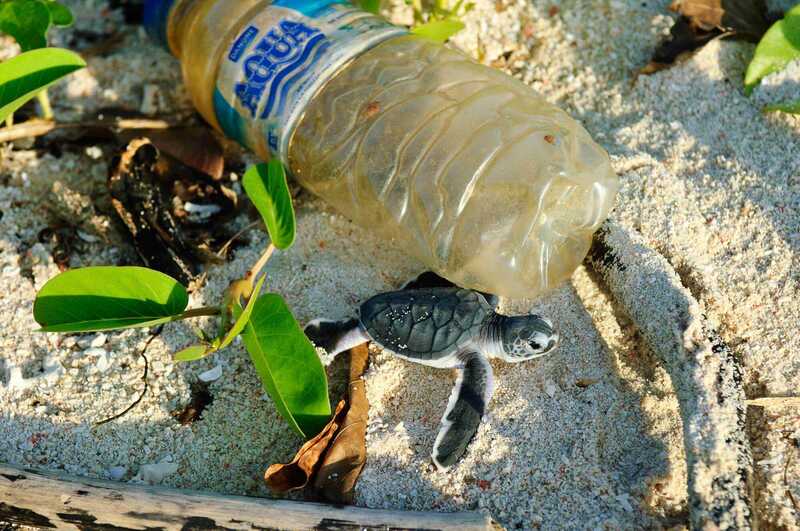 But organisations such as 5Gyres have expanded on this mantra, to include individuals, industry and policy makers - putting together five core strategies that they believe can help solve the problem of plastic pollution. REDUCE: Drastically reduce the use of plastic for single-use disposable products and packaging. It makes no sense to use a material designed to last forever for a product that’s designed to last a few minutes. The Plastics BAN List identifies the most common plastic pollution that should be targeted for immediate action because of the harm it causes. REDESIGN: Shift design away from harmful plastics toward a) providing the goods or services in ways that don’t use packaging at all, b) substituting with biobenign materials made from sustainable materials, and c) designing products and packaging for end-of-life, including opportunities for reuse and repair before material recovery for remanufacture. REUSE & RECYCLE: Scale and replicate Zero Waste reuse, recycling and composting policies and strategies funded in part by the companies that put products into the market in the first place. REIMAGINE: Support innovation to replace harmful plastic. Innovators are hard at work designing the materials of the 21st century that can provide for humanity’s needs without causing harm. We need to support their efforts through investment and adoption. RETHINK PROGRESS: Shift consciousness to replace the “throw-away society” with a culture of stewardship that questions the role of plastic in our economy and seeks to transition to a Zero Waste future. At ZuBlu, we believe everyone can make a difference. Consumers can make simple, everyday choices that will significantly reduce the amount of plastic we use every day. And as travellers and diving tourists, we can act as ambassadors for a plastic-free future, helping to spread awareness of the problems faced by our oceans and leading the way towards a better future for the marine environment. As part of our commitment to conservation and the environment, we will be leading an online Plastic Detox with ClearOceans in the build up to the 2018 World Ocean day on 09/06/2018. The Ocean Conservancy's 'Stemming the Tide - Land-based Strategies for a Plastic Free Ocean'. The Ocean Cleanup Map of Plastic Waste Sources.